HAPPY MONDAY! 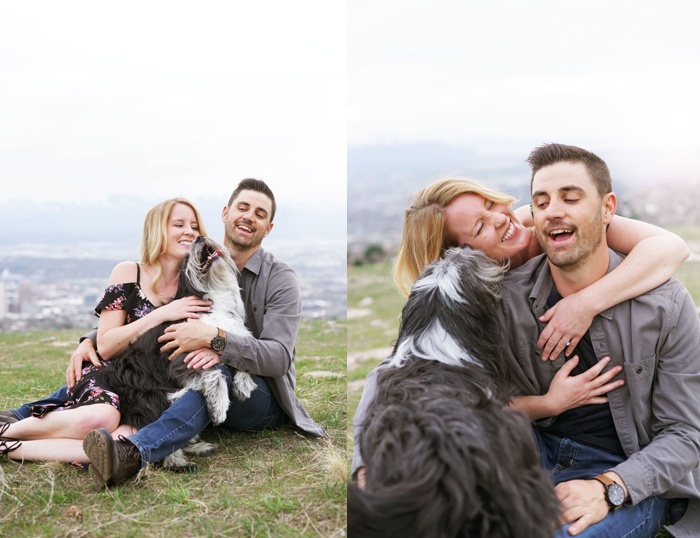 Although it’s raining and crazy gloomy today (and has been the last several days).. these two darlings and their pup Charlie lucked out big time and we scheduled their session by chance the day before this storm hit. It was LITERALLY 80 degrees!!!!! I know. 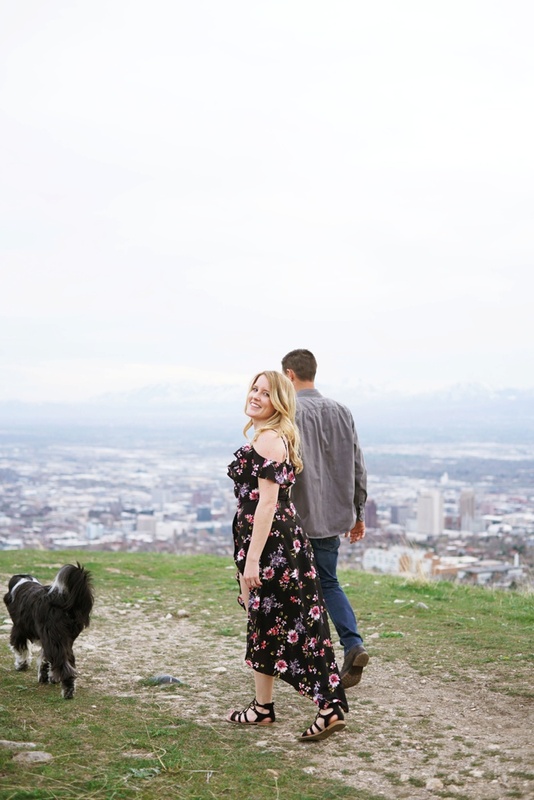 We decided to take advantage of the spring blooms and also a backdrop overlooking all of Salt Lake City. 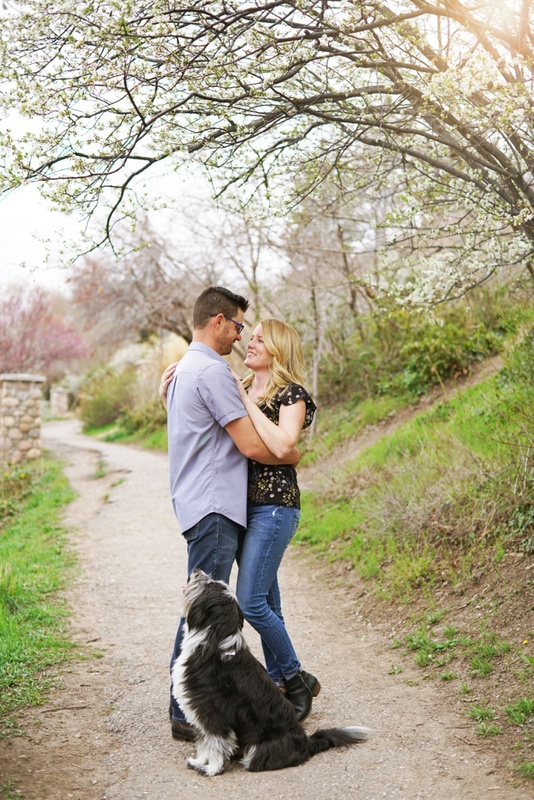 These two are getting married this June at Louland Falls and it’s going to be beautiful! 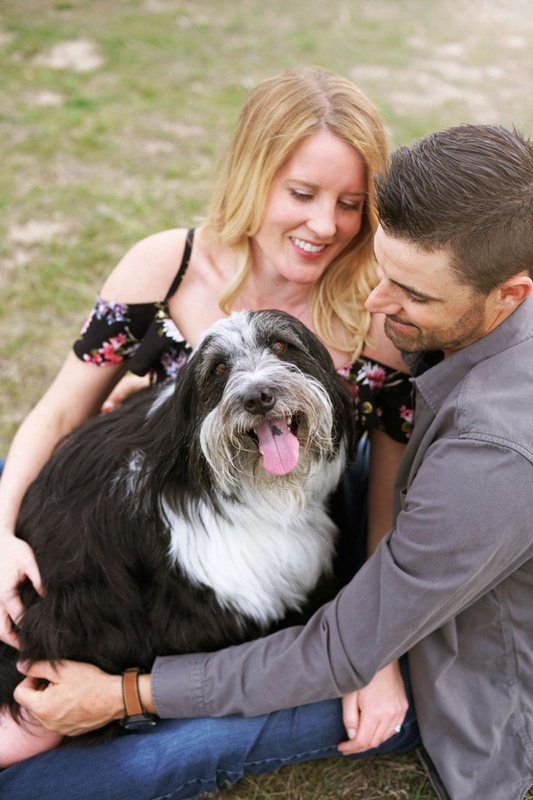 I love, love, love that they brought Charlie along to be a part of their engagements. He’s adopted and has a pretty crazy backstory. He hit the jackpot getting these two as his parents! Alright, let’s take a tiny peek into their session!